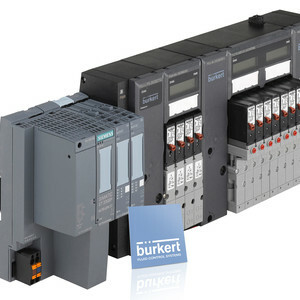 The pneumatic valve island Type 8647 AirLINE SP is a modular, electropneumatic automation system consisting of connection and valve modules. 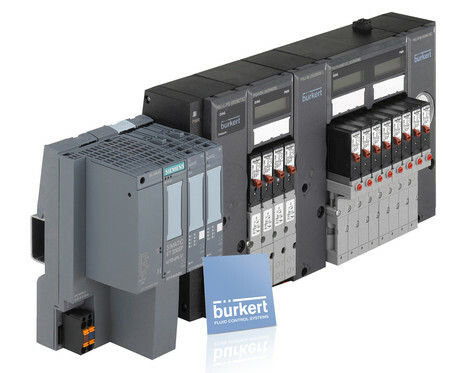 It has been especially developed for safe and complete integration into the SIMATIC ET 200SP decentralised peripheral system from Siemens. Type 8647 is used to integrate pneumatic pilot valves directly into the SIMATIC ET 200SP and to control them via the ET 200SP. Pneumatically operated process valves (including safety shutoff valves), pneumatic cylinders or other pneumatic components can be connected to the pneumatic outputs. If the pneumatic components are installed with position feedbacks, the position of the actuated pneumatic components can be displayed on the associated pilot valve. This can save time on start-up and maintenance. I am interested in Bürkert Type 8647 AirLINE SP .